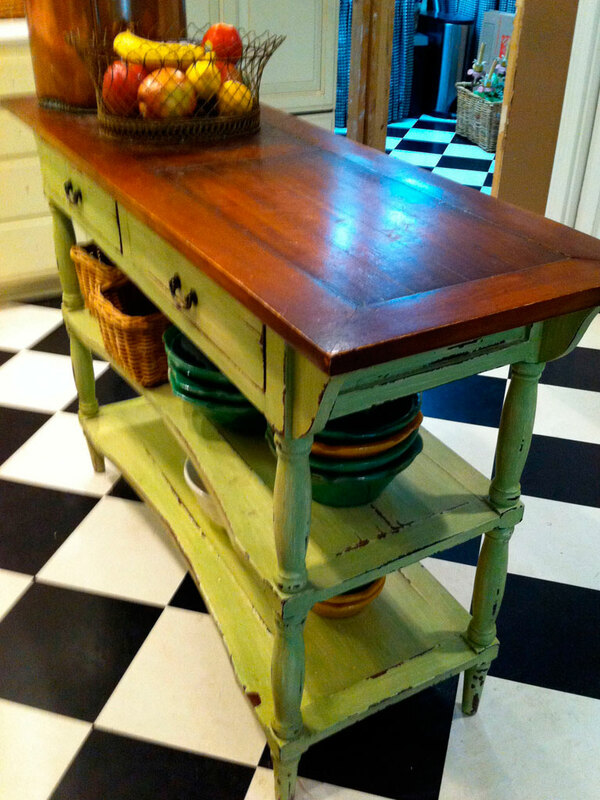 This is the starting point–1948 kitchen. Very small and dysfunctional, but very cute. 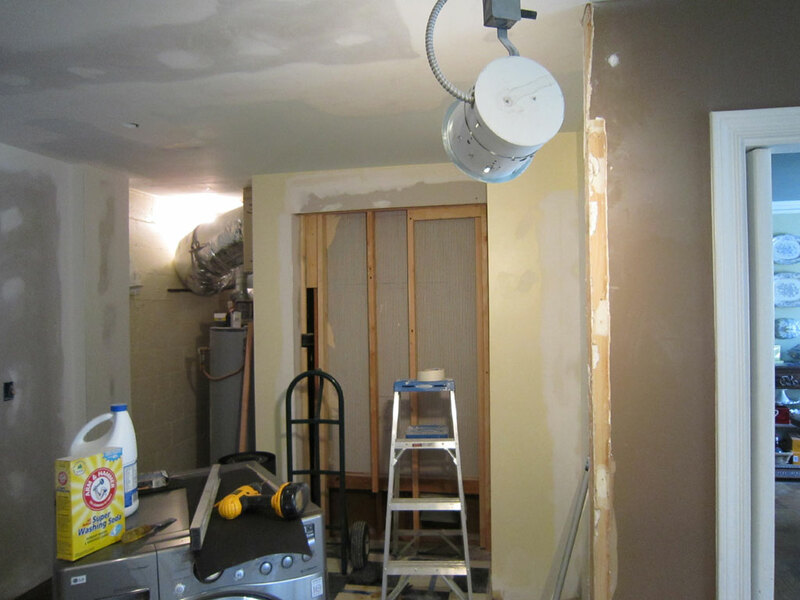 Now for the really exciting part–DEMOLITION–REMOVAL–RENOVATION–so very exciting. Sorry, I get carried away when walls come down. Totally open kitchen! 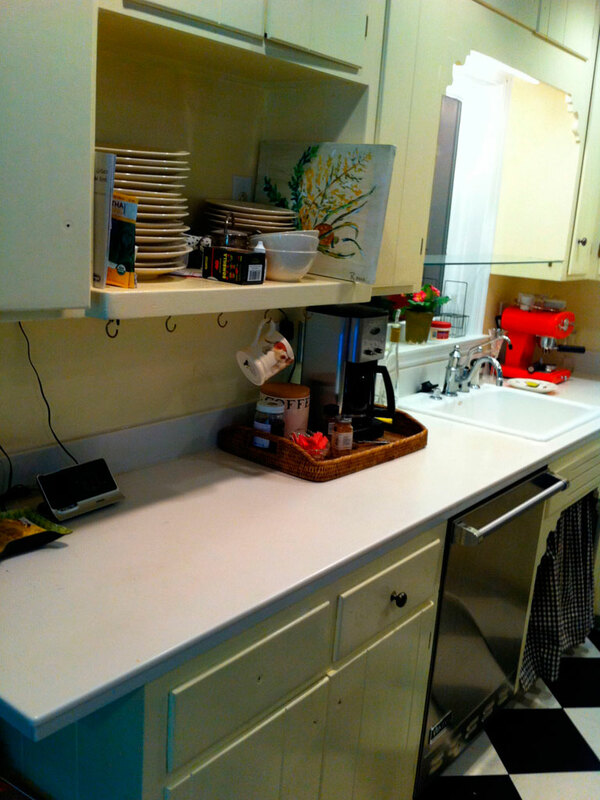 Cabinets were on the blank drywall–brown area was the only eating and family area. The ceilings are blue and will stay this color–more on colors later. 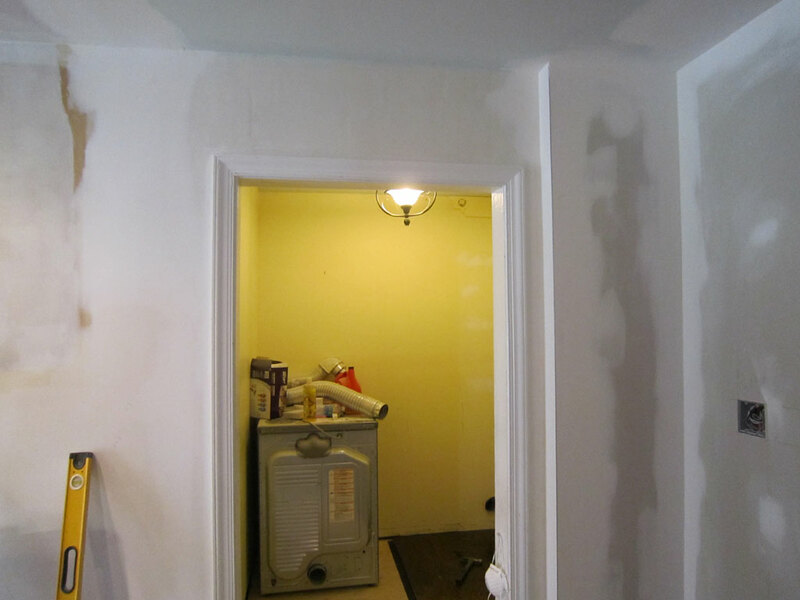 Ta–da, old walls gone–new drywall up! The column in the middle will be a focal point later. 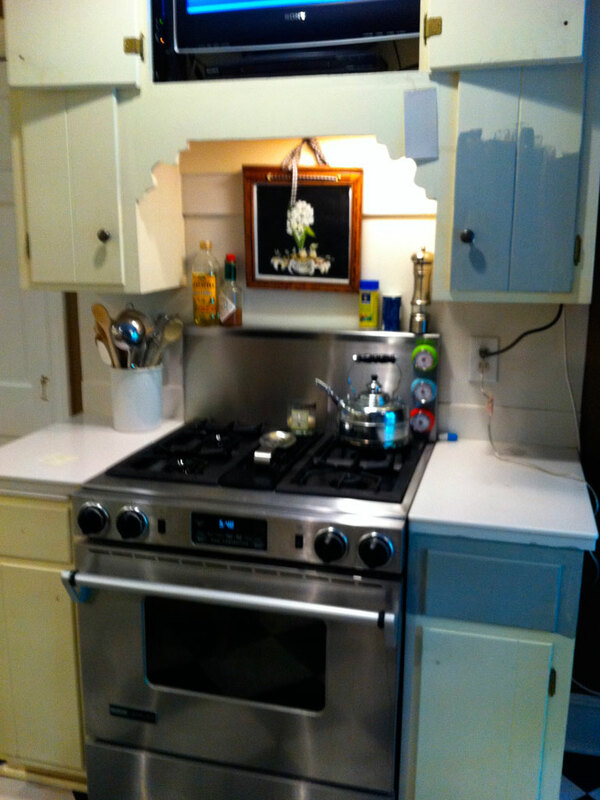 New home for the 'real' range, a 6 burner Viking with a steel and brass hood. The vent will be run under the house and connect to the old vent. 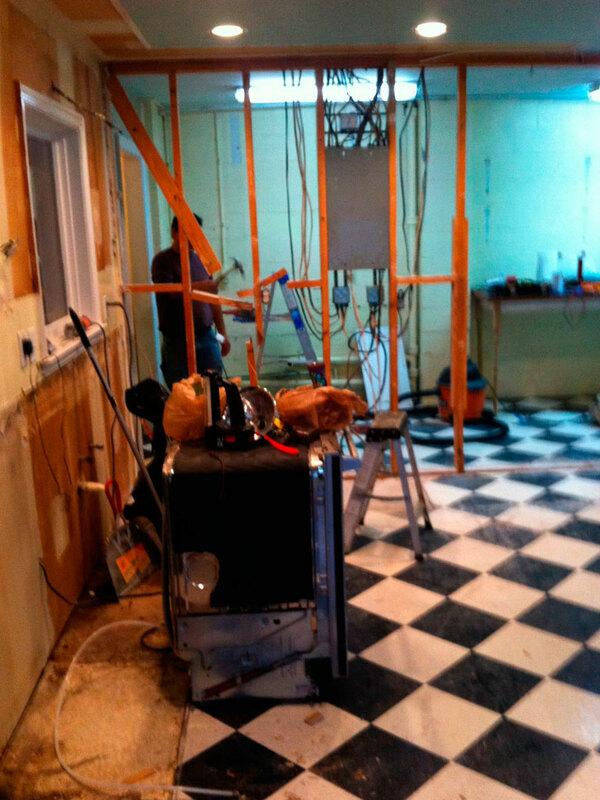 New pantry in the works, The washer and dryer will be stacked in this ares too. How exciting is this–well for me it is just the most exciting thing ever! 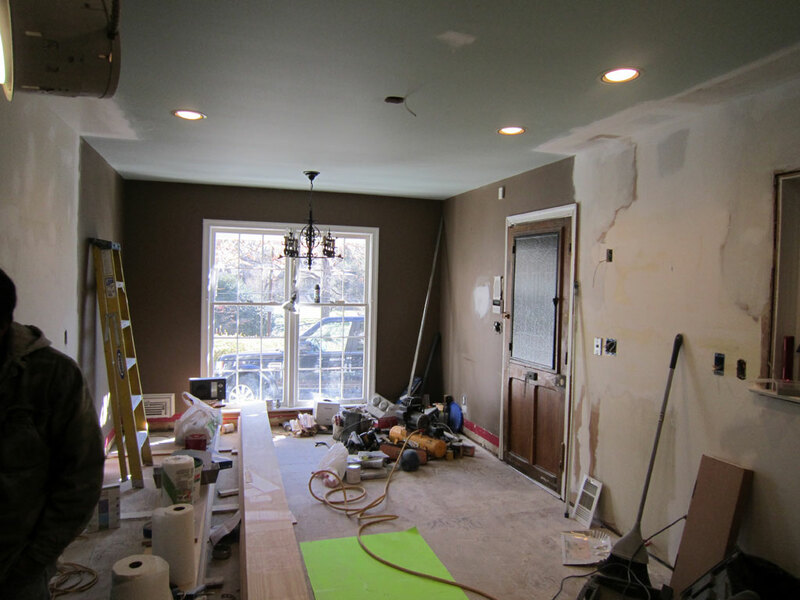 I will continue with more kitchen renovation posts ASAP–So much to do! I am so happy for you!!!!!!! Love it!!! I am so excited for you!!! Can’t wait to see the finished project. 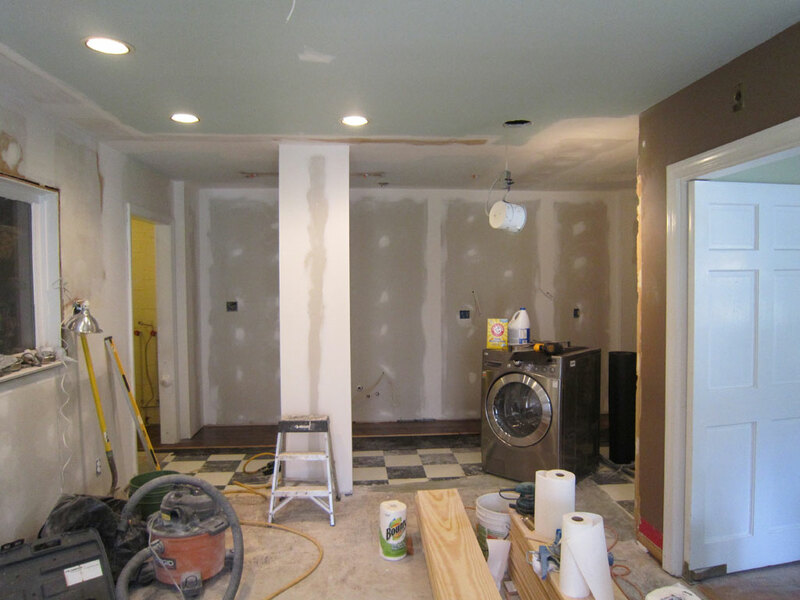 i can’t wait to see your kitchen when it is finished. btw i loved your old kitchen. I love that old wooden door. Are you keeping it?